TD Bank, Merrimack has partnered with the Merrimack Public Library to provide an easy way to raise money for the Library! 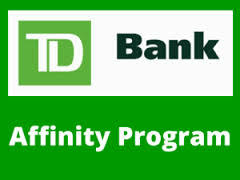 Library patrons can visit TD Bank, Merrimack, and find out more about the Affinity Program when they open a new account and inform their TD Bank Representative that they are affiliated with Merrimack Public Library. Existing TD Bank customers can enroll too. All information regarding participating accounts is kept strictly confidential.